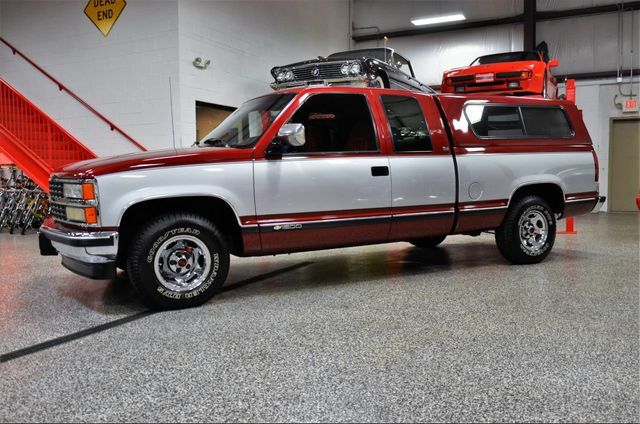 This one should be an easy one for anyone who is looking for a low mileage rust free 2-Owner Pickup.This Nebraska Owned 2-Owner 1992 Chevrolet Silverado X-Tra Cab has been meticulously maintained from day one and wears all original paint and has zero rust.Powered by General Motors legendary 5.7 Liter V8 and adorned with all the power options we like to see. In addition the Silverado is equipped with a matching Safari Gel Coat Bed Cap, Bed Liner Chrome Wheels and fully equipped with full power options like Windows, Door Locks, Air Conditioning, Tilt Wheel ,Cruise Control and More.This is the best example anyone will find anywhere. Now is not the time to sit on your hands and ponder.Trucks like this dont come around often enough. Call before its gone.No disapointments. Please review the photos of this extremly over preserved Chevrolet Silverado and come to your own conclusion.If you require additional details or information please feel free to call Dave at 630-327-8321.